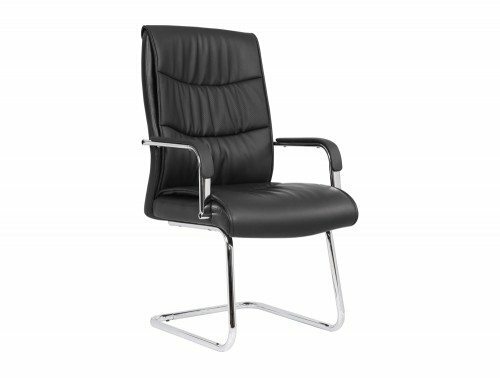 Impress every client and visitor that steps into your office with our range of high-end, modern executive office furniture. 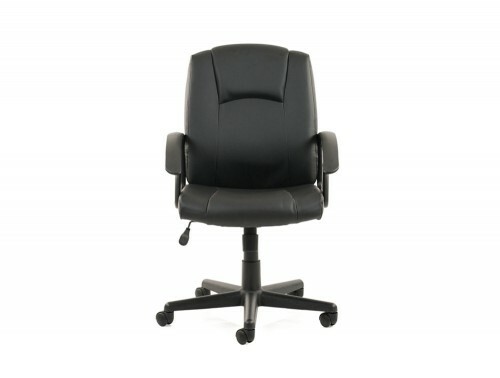 Our wide selection is designed to display your business with a great sense of professionalism, quality, style and class. The executive office furniture for sale in our online catalogue are sourced from some of Europe’s leading furniture manufacturer for guaranteed value for your money. 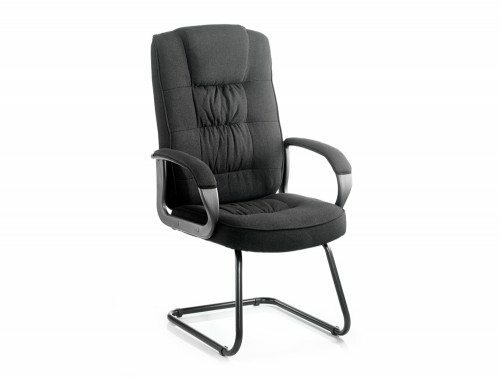 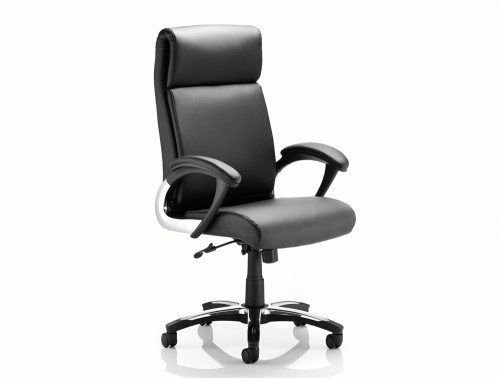 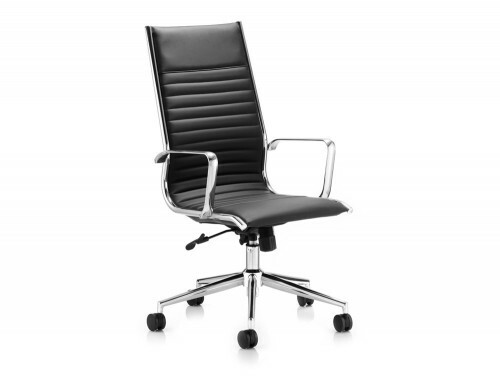 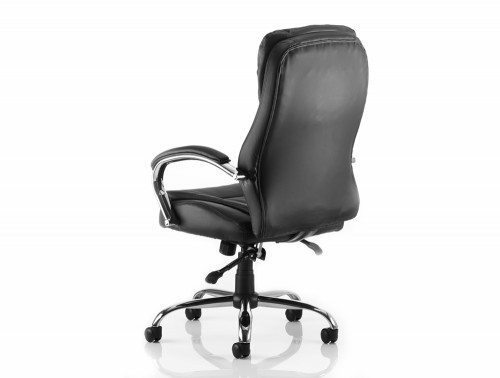 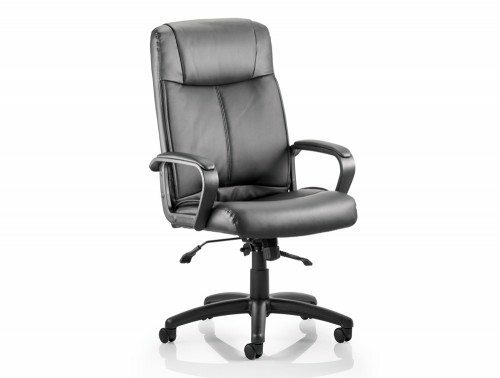 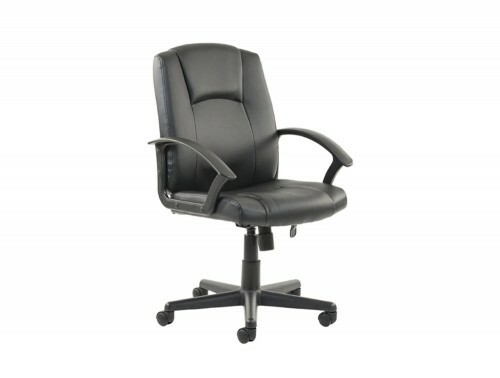 We have an extensive collection of stylish and durable executive furniture. 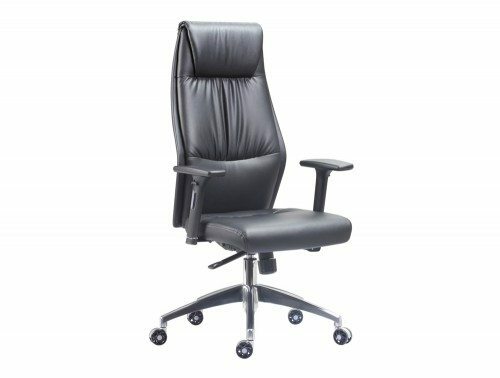 Choose from different styles of executive office chairs, elegantly designed executive desks, boardroom tables and highly functional office storage units. 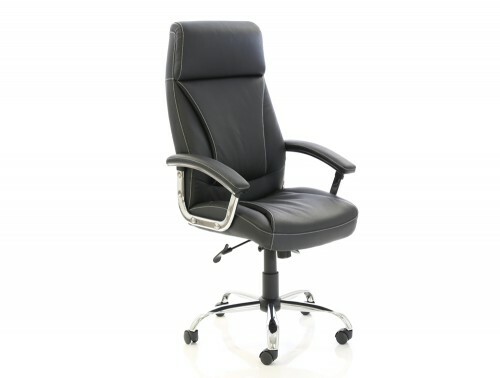 The executive furniture range is offered in many finishes and style to best suit your office décor. 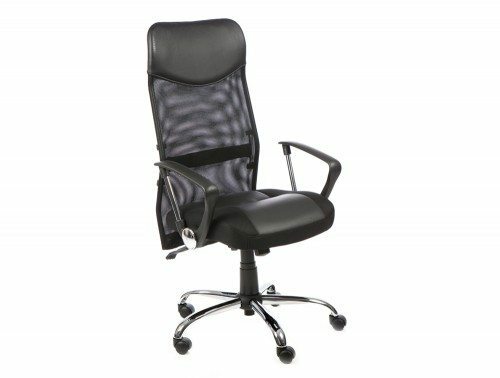 Numerous products from our executive range are offered with a warranty policy which means its quality and functionality is guaranteed during the stated time period. 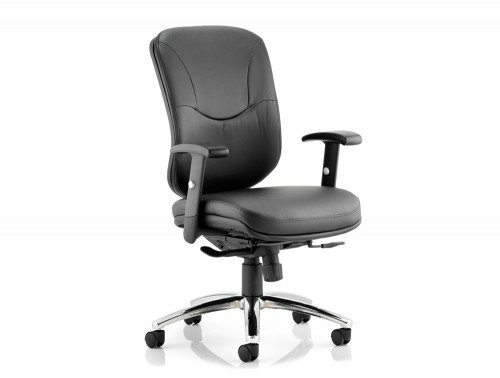 All the products are rigorously tested to make sure it is of the highest standard for home and office use. 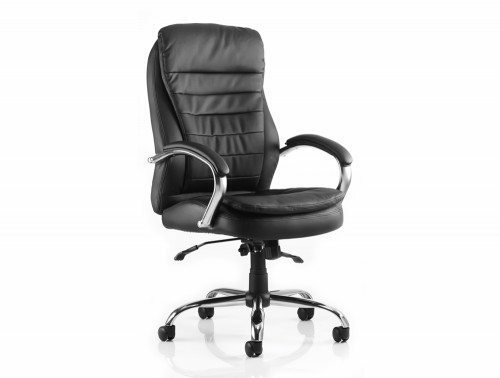 When furnishing an executive office, you don’t have to sacrifice comfort and quality for style. 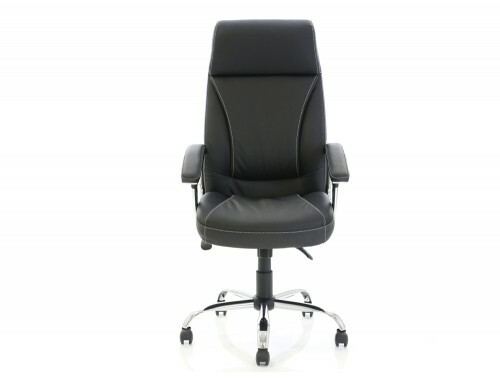 Our selection of executive office seating is designed to provide you with a professional, stylish look whilst still offering quality and functionality. 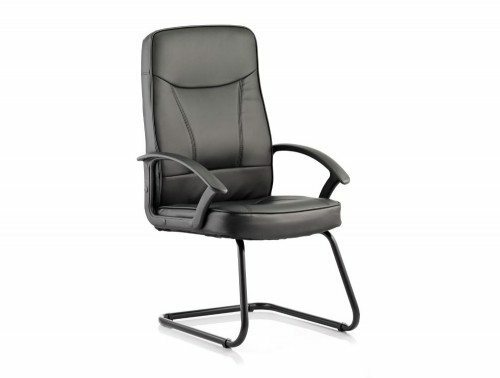 Choose from many different designs to best suit your managerial office style. We have traditional executive chairs upholstered in luxurious leather or eco-leather with cushioned seat and backrest that will surely make a statement. 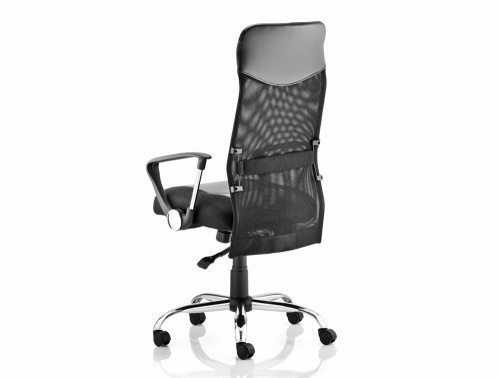 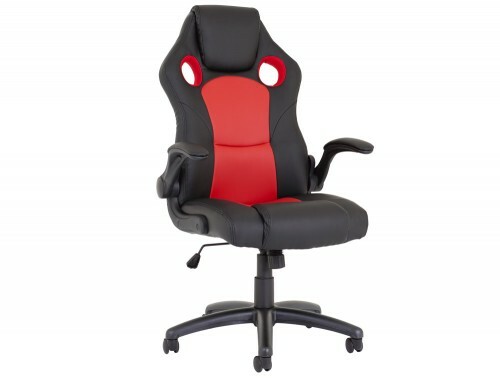 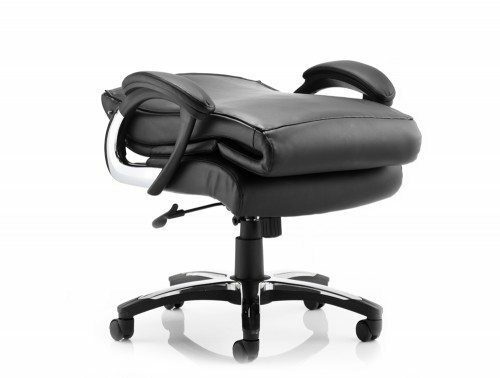 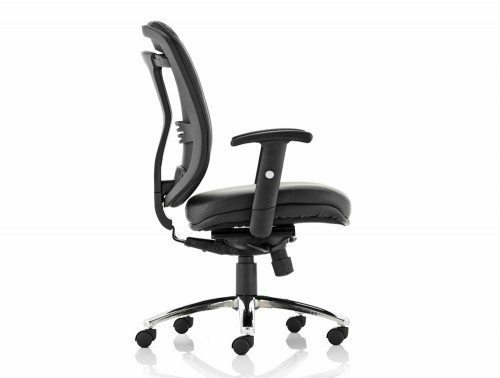 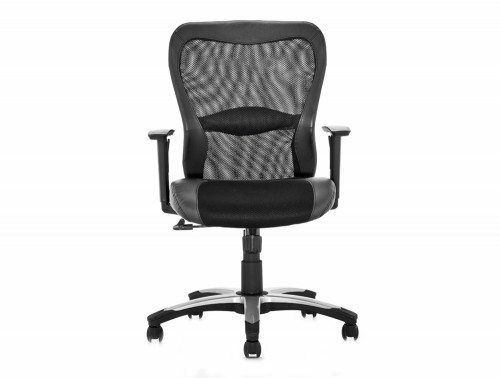 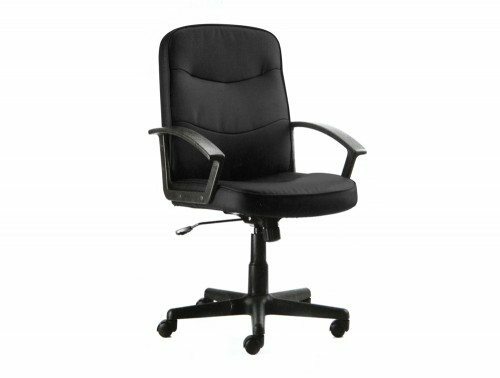 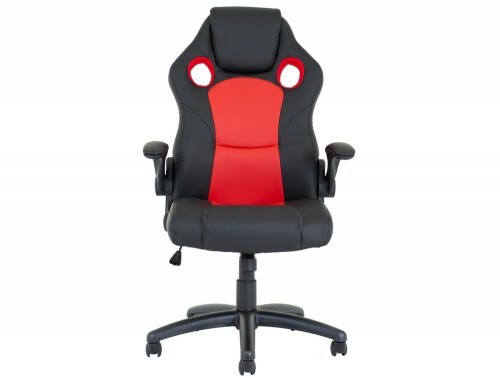 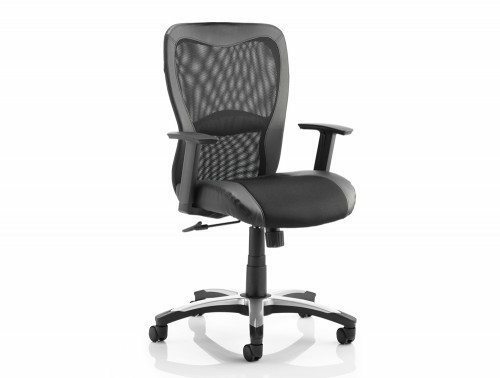 We also offer ergonomic chairs with a mesh back for a more modern style. 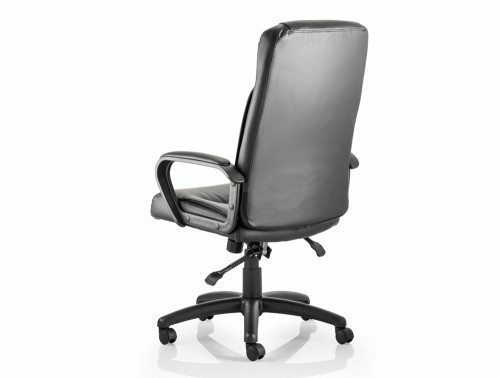 The breathable material will help keep you cool during long periods of use whilst offering all the ergonomic functions to ensure comfort and support. 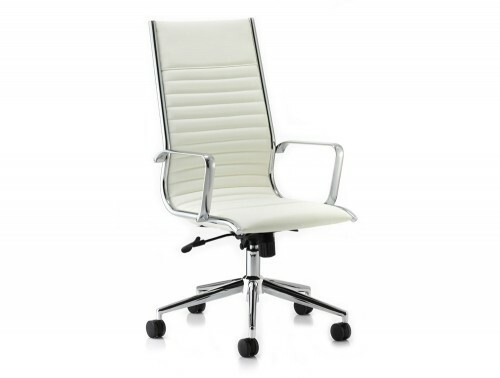 A desk is one of the focal points in an executive workspace. 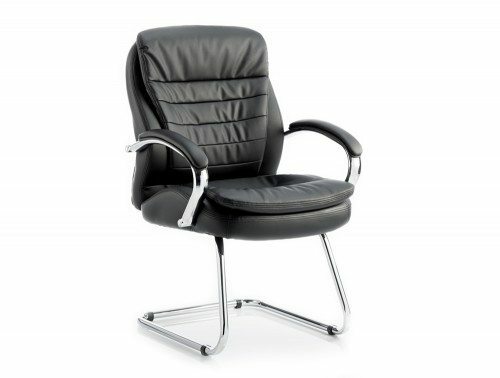 It is important to choose a design that is able to support your workload as well as displaying professionalism and elegance. 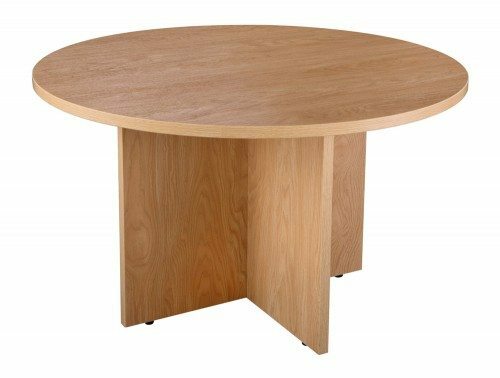 For a traditional option, we have a large number of wooden executive tables in many shapes, sizes and wooden finish to best suit your space. 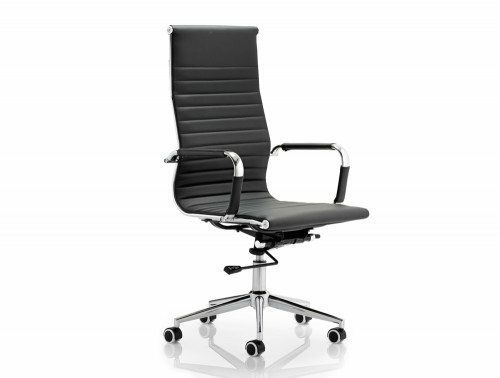 We also offer glass-topped tables for a more modern design. 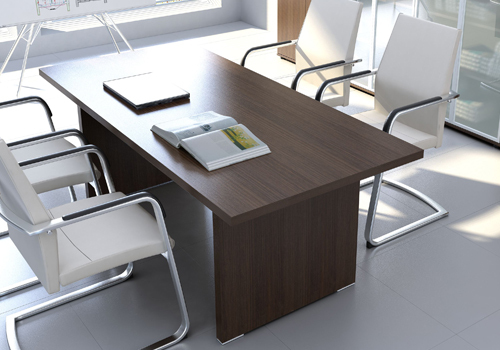 Some of the executive desking solutions are designed with a credenza unit for ease of storage. 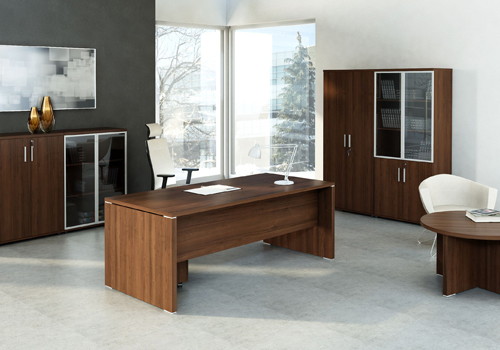 To keep your executive workspace neat and tidy, our collection features high-end storage units in many styles and sizes. 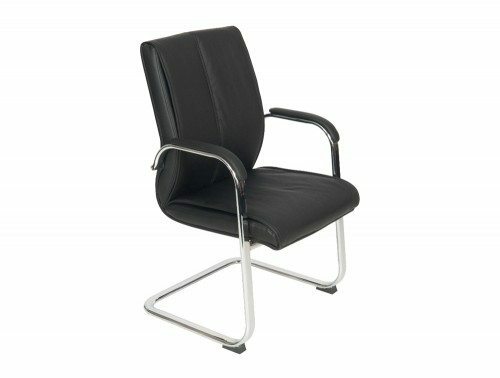 We have stylish wooden cupboards and mobile pedestals that features a fully lockable design for maximum safety of important files. 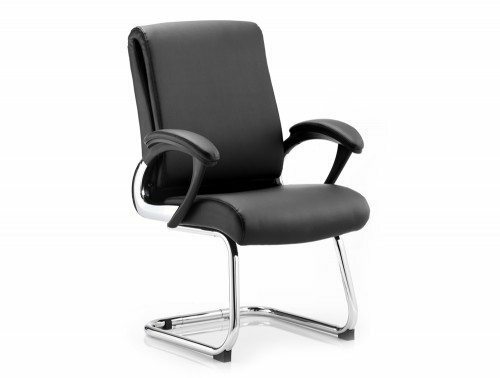 Some of the executive cupboards are offered with frosted glass doors to enhance a more modern and professional look. 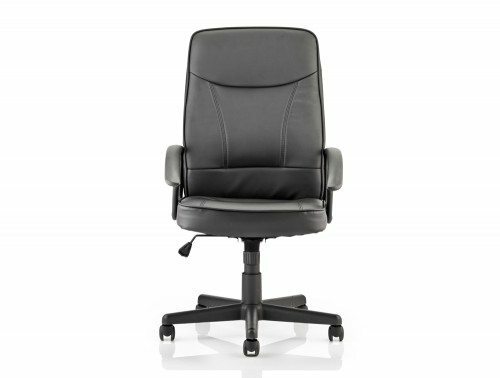 If you’d like to find out more about our range of Executive Office Furniture or discuss your requirements, simply request a callback.